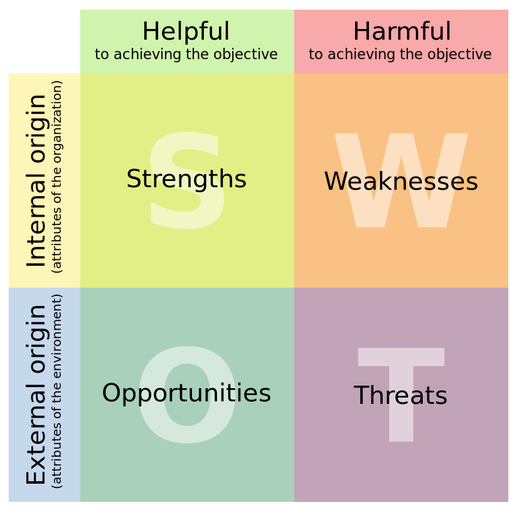 A SWOT analysis can be carried out for a product, place, industry or person. Weaknesses: characteristics that place the business or project at a disadvantage relative to others. When looking at opportunities and threats, PEST Analysis can help to ensure that you don't overlook external factors, such as new government regulations, or technological changes in your industry.